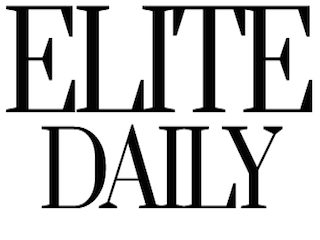 Elite Daily — a site for millennials that publishes idiotic articles like “Why No Matter How Much You Think You Do, You Never Really Know Anyone” — conducted a survey of its readers that shows while the site is garbage, at least its readers understand that. The study asked Elite Daily fans what type of media they used as their primary source of news, and (of course) online-only news sites claimed the top spot, with 34 percent. Traditional media sites was the runner-up with 21 percent. The irony of the study is that while the 18-24 year olds claimed they used online-only sites as their primary news source, they admitted that the sites aren’t good at keeping them informed. Of those who said they used online-only sources, only 39 percent said they felt “very” informed of the news, compared to 56 percent of those who used traditional media sites, and 66 percent who used newspapers. Keep in mind that this is a survey of Elite Daily readers. It doesn’t include a wide range of young people. The poor site can’t even get its own fans to say it offers quality content.